Viral Version release. Webmaster can download and put it at your site. PLayer can play offline at own pc . For user registered at 27 June 4.45PM above ( GMT+7 ) and have lvl up to 7, after you hit new game, go fight the first boss. After finish , you will be on world map. Refresh the game , your compensation should be come :). 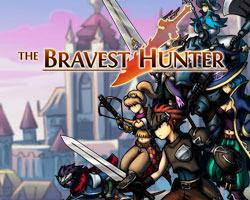 0 Response to "The Bravest Hunter"